The 23andMe Haplogroup reports can shed light on the origins of some of our ancestors and on their migrations over tens of thousands of years. Your Maternal Haplogroup report tells you about your maternal-line ancestors, from your mother through her mother and beyond. If you are male, your Paternal Haplogroup report tells you about your paternal-line ancestors, from your father to his father and beyond. Haplogroups are assigned by detecting certain genetic variants unique to each haplogroup. Haplogroup is the term scientists use to describe a group of mitochondrial or Y-chromosome sequences that are more closely related to one another than to other sequences. The term haplogroup is a combination of haplotype and group. In this context, haplotype refers either to the DNA sequence of one's mitochondrial DNA, which is inherited from one's mother, or to the DNA sequence of one's Y chromosome, which is passed from fathers to their sons. Due to their unusual pattern of inheritance, the mitochondrial DNA and the Y chromosome contain information about your maternal and paternal lines, respectively. But together, they make up less than 1% of all your DNA, and only represent a small fraction of your ancestry. Everyone can trace their maternal ancestry back to a single woman, but members of a mitochondrial (maternal) haplogroup can trace their maternal ancestry back to a more recent common ancestor, and the same applies to paternal ancestry and the Y chromosome for males. The Haplogroup reports provides haplogroup assignments which allow you to trace your ancestry from your mother through her mother and beyond and, for men, from your father through his father and beyond. A maternal haplogroup is a family of mitochondrial DNA (mtDNA) that traces back to a single common ancestor. Geneticists use global haplogroup distributions to trace significant events in human prehistory, such as the migration of people to the Americas or the expansion of agriculture from the Middle East. The Maternal Haplogroup report is provided to both males and females. This haplogroup assignment is based on your mitochondrial DNA, which you inherited from your mother, who inherited it from her mother, who inherited it from her mother, and so on. Both males and females inherited their mitochondrial DNA, and therefore their maternal haplogroup, from their mother. Paternal haplogroups are families of Y chromosomes that are defined by specific sets of shared mutations. Geneticists can use patterns of Y-chromosome variation to trace significant events in human prehistory, such as the migration of people to the Americas or the expansion of agriculture from the Middle East. The Paternal Haplogroup report is available for males*. This haplogroup assignment provides information about your Y-chromosome haplogroup, which we also call paternal haplogroup because it is passed down from fathers to their sons through the generations. *Because females do not have Y chromosomes, they do not have paternal haplogroups. Females can connect with a father or brother to learn about their father’s haplogroup. Both males and females can learn about still learn about their recent paternal ancestors in the Ancestry Composition report. Learn more. Your haplogroup is a clue to your maternal or paternal ancestry. Humans migrated from eastern Africa to inhabit every continent on Earth except Antarctica over tens of thousands of years. The Haplogroup reports show the migration patterns of people with a given haplogroup. Before the age of European exploration ~500 years ago, people rarely moved between continents, so the report shows where people with a particular haplogroup lived for thousands of years. As humans spread out geographically, they also diversified genetically. Your maternal haplogroup is assigned by identifying a set of variants in your mitochondrial DNA. If you are male, your paternal haplogroup is assigned by identifying a set of variants in your Y-chromosome DNA as well. When a variant arises in an individual and is passed down through the paternal or maternal lines, it will be present in living descendants. So by looking at the pattern of variants in present-day populations, geneticists can trace human genetic and migration history. A haplogroup is a family of maternal or paternal lineages that descend from a common ancestor. The framework that is used to identify different haplogroups, and how they relate, is called a phylogenetic tree. The phylogenetic tree can be found by clicking on the Scientific Details tab. 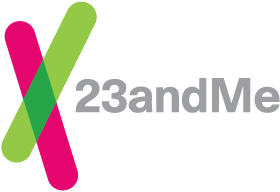 The Maternal Haplogroup and Paternal Haplogroup reports are two of the 23andMe Ancestry reports and are located under the Reports tab in the top navigational menu. In the Haplogroups report, you can choose to see your assignment and information about the geographic distribution of your haplogroup using the Summary tab, or you can dive deeper to see how your haplogroups relate to others by viewing the phylogenetic tree located on the Scientific Details tab. Scroll down the page to see any additional information about your haplogroup assignment or the report in general. You can print the Haplogroup reports using the Print button located in the upper right corner of the page. Paternal haplogroups are defined by sets of genetic variants on the Y chromosome. Although women inherit roughly 50% of their DNA from their fathers, they do not inherit Y chromosomes and as a result, do not have paternal haplogroups. However by connecting results with certain male relatives on 23andMe, women can learn about the paternal haplogroup assignments of their fathers. How can I link a male relatives results to my haplogroup report? Connect with your father or brother (full sibling) using Share and Compare, DNA Relatives, or invite them to share by clicking the “Connect with them now” link in the Paternal Haplogroup report. Check back. After you have connected with an eligible male relative, your paternal haplogroup report will automatically update to reflect his results. You can view with your male relative’s paternal haplogroup by establishing a sharing connection and comparing results in the Share and Compare tool. By connecting with a father or brother (full sibling), your Paternal Haplogroup report will update to reflect his assignment. Or, you can ask your relative to share a link to their published paternal haplogroup report. The information in this report does not represent all the ancestors on your mother’s or father’s sides. Rather, your maternal (and paternal) haplogroups tell you about specific lines of ancestry. If you are male, your paternal haplogroup tells you about your paternal-line ancestors, from your father to his father and beyond. So your paternal haplogroup helps you trace your ancestry through your father’s father but not through your father’s mother. This is because paternal haplogroups are based on Y-chromosome DNA, which is passed exclusively from fathers to their sons, generation after generation.